"Please don't judge the north of England by Macclesfield," was the warning our Instagram memelord Aidan passed on before we battled through the show to Burgtec HQ. Well, Aidan, you needn't have worried. 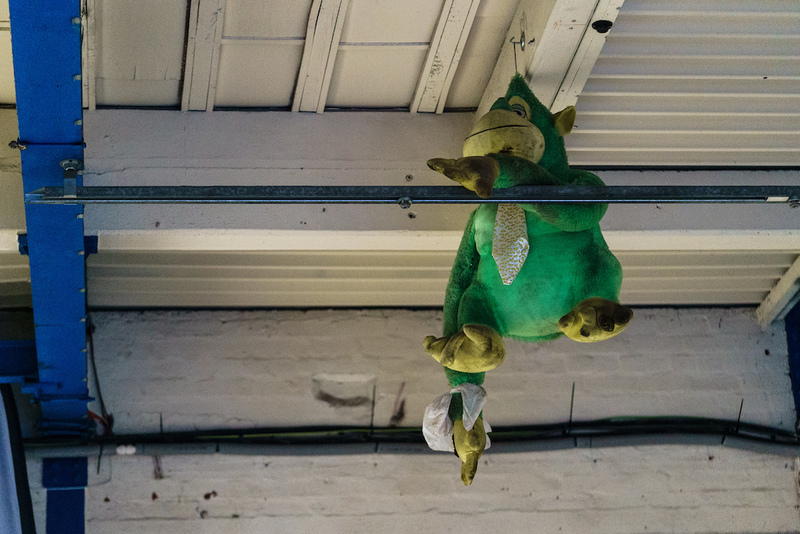 In a former mill in the Cheshire market town, Burgtec's crew of four cleared out their warehouse, invited along Santa Cruz's UK distro Jungle and Fox Head Clothing and welcomed us in to one of the most chill shows we've been to in years. Here's a look at some random products from the day. 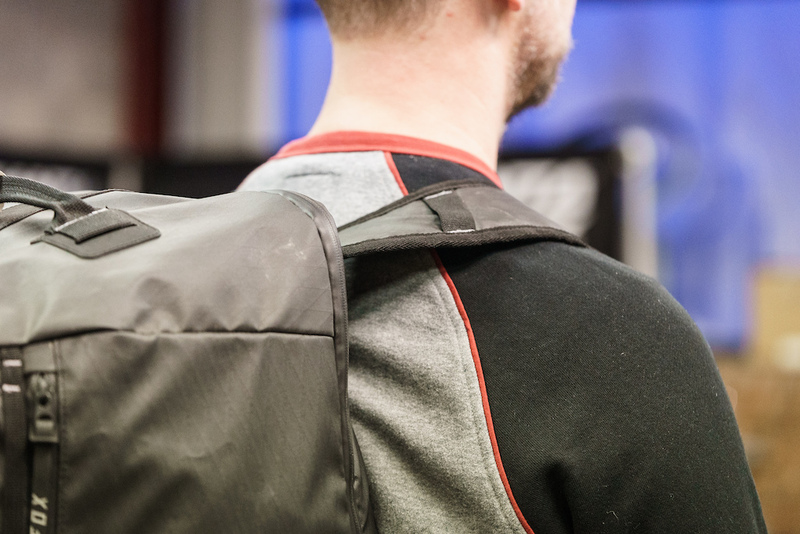 Fox are gearing up to simplify their range into three columns - Defend for aggressive riding, Ranger for all-round, affordable performance, and FlexAir for lightweight breathable kit. The products will largely remain the same but the recategorization should make it easier to work out what's designed for what. 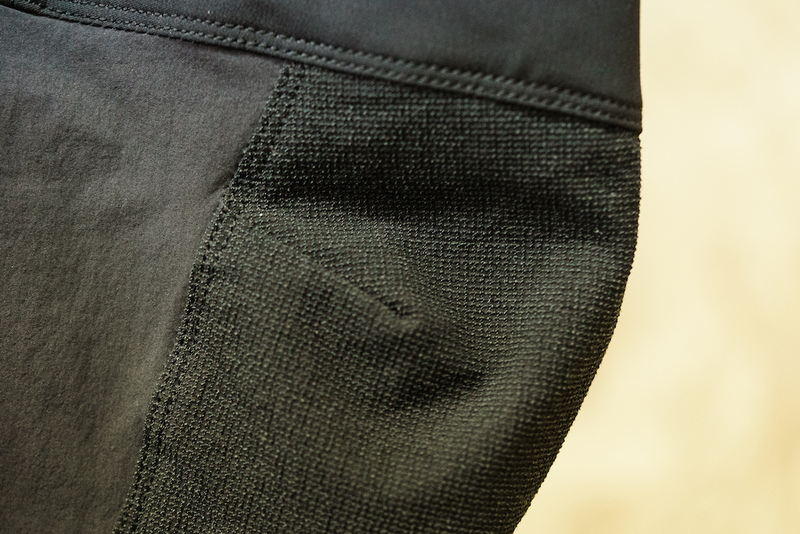 We also saw an update of their DH race pant. 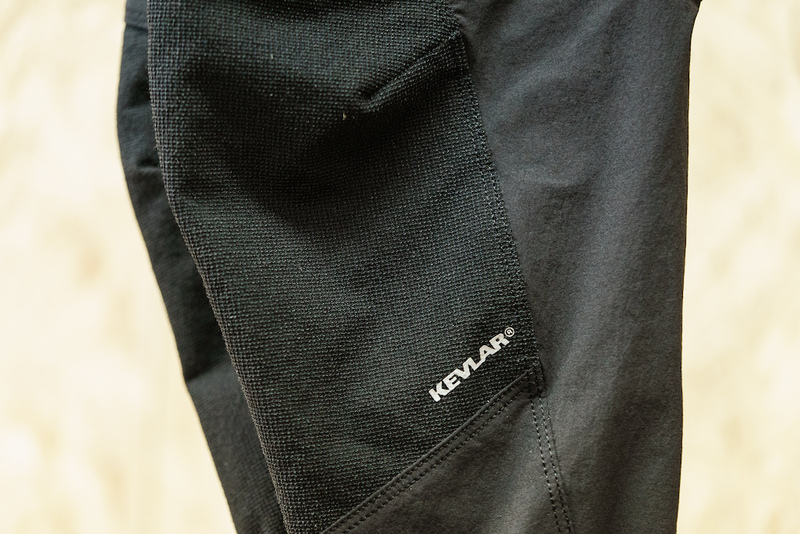 In a recent group test, we commented that there was no abrasion resistant materials in the product; well, it looks like Fox were a step ahead of us as there are kevlar knee patches in the new model. 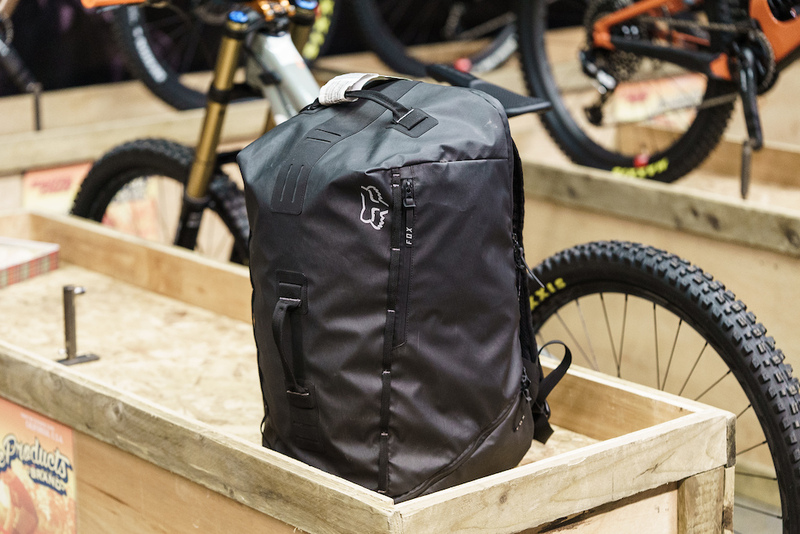 Fox have designed this neat Transition Duffle for transporting riding apparel, helmets, shoes, and gear. 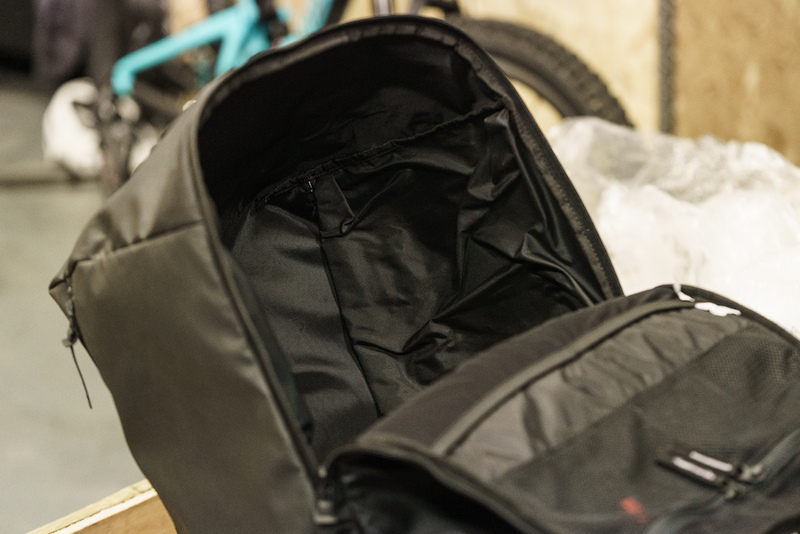 It has a 45 litre volume and can be filled from either end—here's the clever bit, the bottom of the bag is waterproof (and comes with an integrated changing mat) and is separated from the top of the bag. 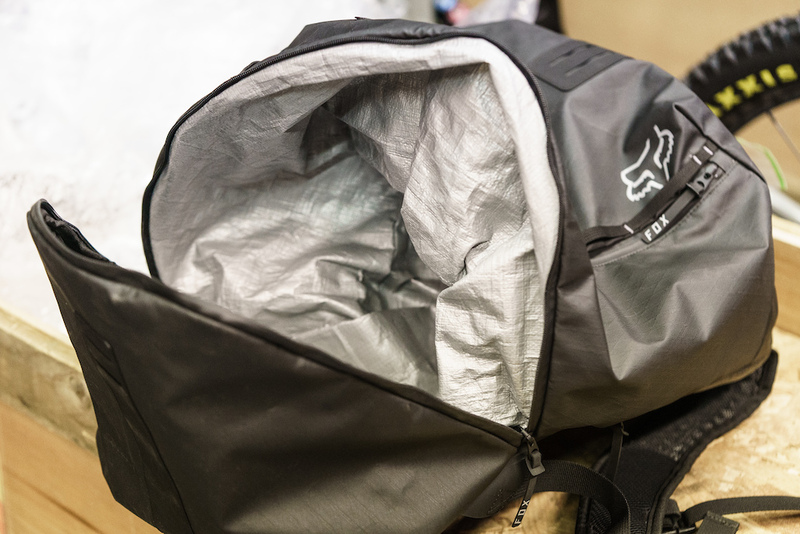 The dividing piece of fabric is large enough to reach both ends of the bag so you can the bag with dry stuff for the start of the trip then gradually fill up from the bottom as you get kit dirty. In this picture alone there is enough snow to bring Britain to a total standstill. "I don't know why but I think this is hilarious" - The Canadian. 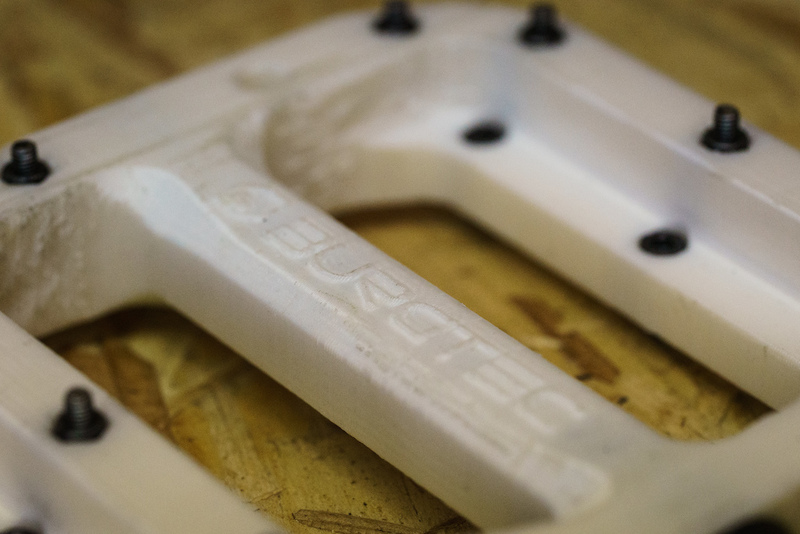 Burgtec's long-standing Penthouse pedal series has been on board for World Cup wins from both Sam Blenkinsop and Brook Macdonald, and now sits in its fourth iteration. But with prices starting from £100, it's far from the cheapest flat pedal. 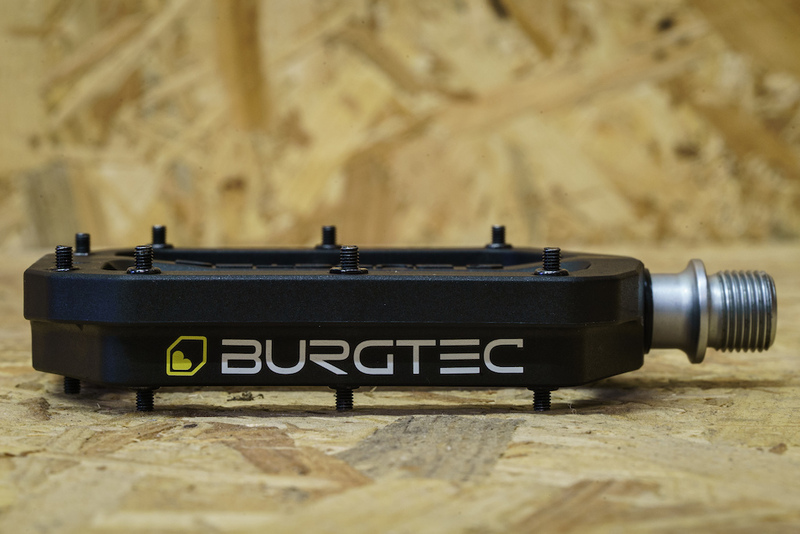 To remedy this, Burgtec have produced a composite pedal that offers the same platform in a more affordable guise. 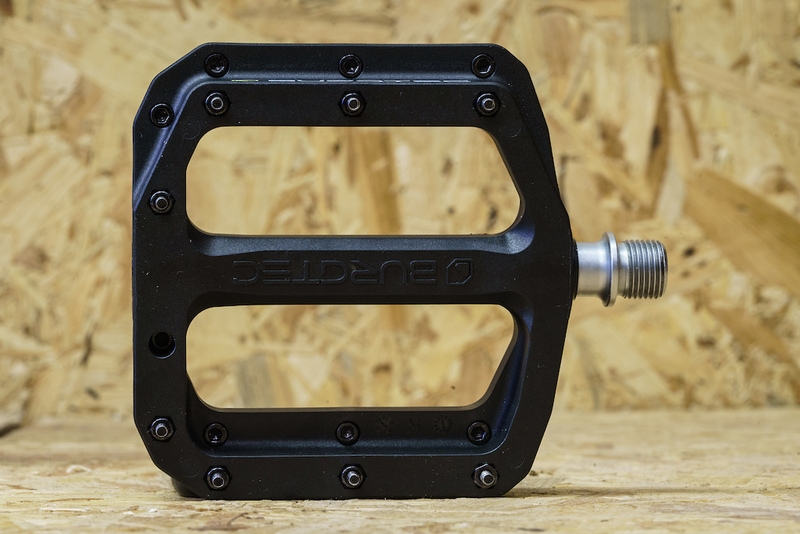 The new pedal will be available in early March at £39.99. One of the first rapid prototypes. 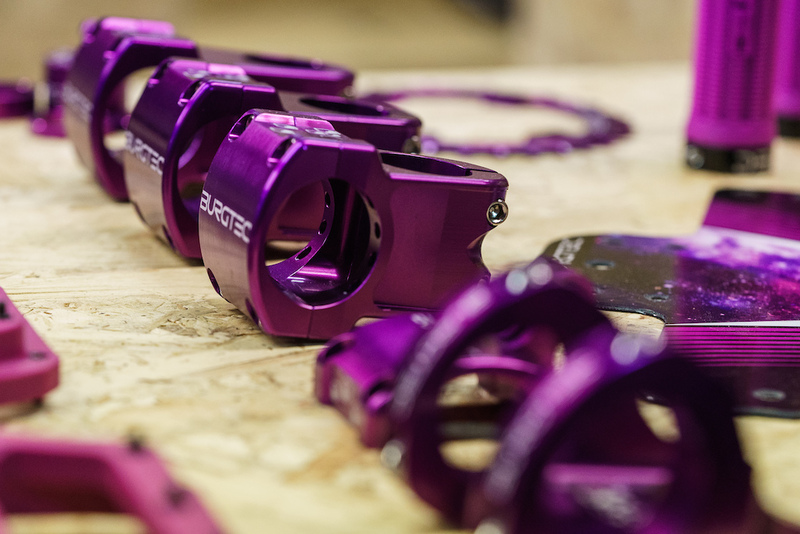 The new pedal will be available in eight colours. Next door to Burgtec is a company that restores Rolls Royces. This one was used by the BBC as a filming car with the back opening out fully for a camera crew. 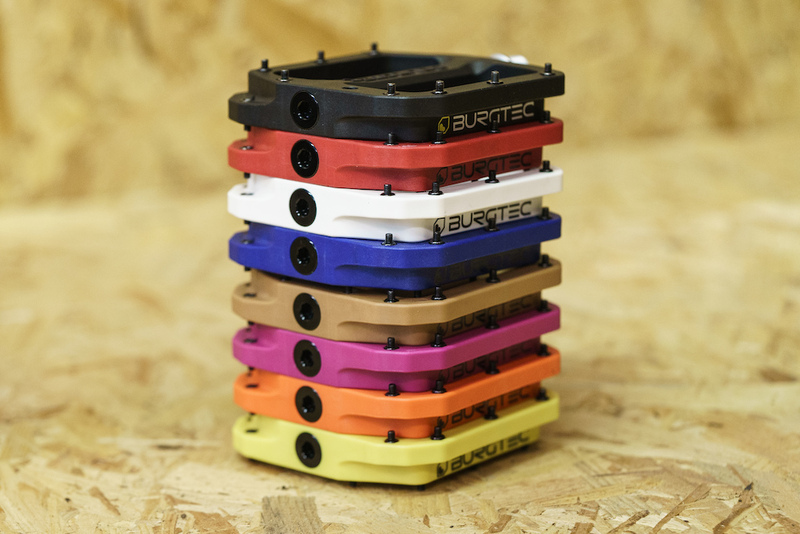 All of Burgtec's products come in matchable colours. Burgtec produce this aftermarket 30x8 bearing for shocks. Ha ha. They definitely should. Naaaah if the penthouse flat is the top of the range then the Wakefield readers wives flats are the budget ones. I'm almost certain they already did? May have been another company mind... There has definitely been a pedal called the council flat. These are cheaper than chesters, look cooler, and have a heck of a reputation behind them. I'm sold! 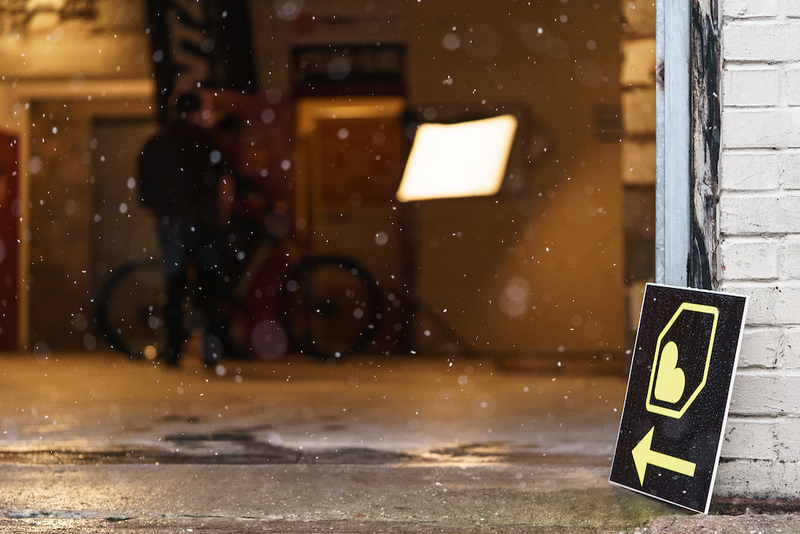 @rideitall-bmx-dh-road-unicycle: It's okay, we have "Giddyup" and "Yippie Ki-yay"
@rideitall-bmx-dh-road-unicycle: The US translation would be "Section 8 Apartments" not as witty as "council flat"
@rivercitycycles: The "Projects". Comes with broken light bulbs. Reorder new bushings and get a brick through your window. 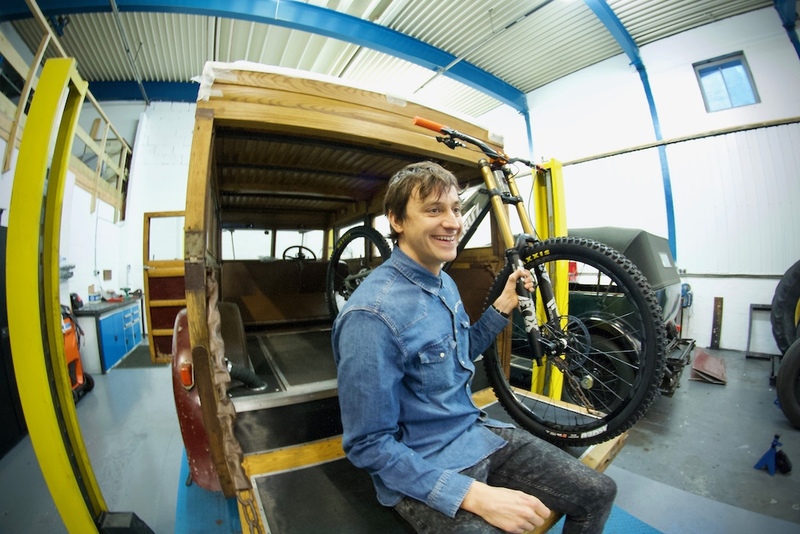 @rideitall-bmx-dh-road-unicycle: no idea what these limey brits are rambling on about , mate. Wankers. The all of you! @fatduke: can't believe you got downvotes for that. Must've been some Wakefield readers wives husband's lol. Burgtec Macclesfield Council Flat Edition Pedal. @streetkvnt-kvlt: audience might be too young to remember Penthouse and readers wives. "if you live in a council flat beside a river but are not blind..." reference anyone? @fatduke: Sad times we live in, lol. We Canucks need this on the wet coast of Canada too! What the hell. I've lived on the same road as Burgtec for all this time and I haven't had a clue?!?! 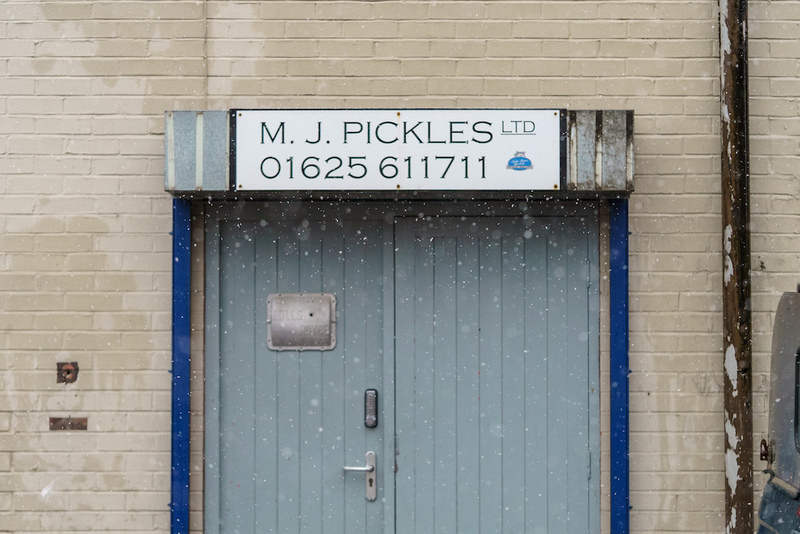 "Supporting your local businesses" suddenly became so much more appealing! Then you see the price and then suddenly feel the need to support a father of a family in China. @vhdh666: Your spell-checker mean to say Empathic, no? and your feet don't freeze in winter. The last composite pedals i had were Steele Industries 'Sorties'. They looked great, and i switched all of the pins to stainless steel, but within a few months, the bearings gave up in one of them. You shouldn't expect that from these though. The bearings in the alu ones are like no other pedal I've had before, but I'm not sure if they'll be the same in these. £39.99 RRP makes them a real accessible product for a lot of folk! We're really stoked for launch. Where can you get that burgtec shock bearing? 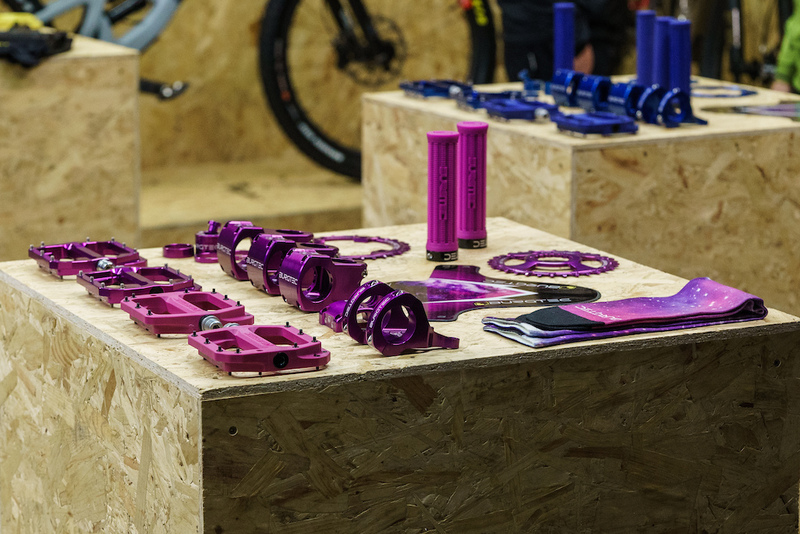 Real World Cycles has been making some really good ones for a long time already. Check them out. Should be out soon! We're just in the last testing stages now! this. I’ll never ride another bike without this kit or similar. Deffo a good move and quality product. @pharmkid85: Stoked on the positive feedback! @sbrdude1: RWCs look very good, but no UK distribution that I can see, plus if burgtec can put the same mentally that caused them to make ti bushing kits into needles bearing kits they may even rival RWC! @jack-sprogis: what's the name of the new grip? don't see it on website? @WoodenCrow: Bartender Pro, due for release early March! 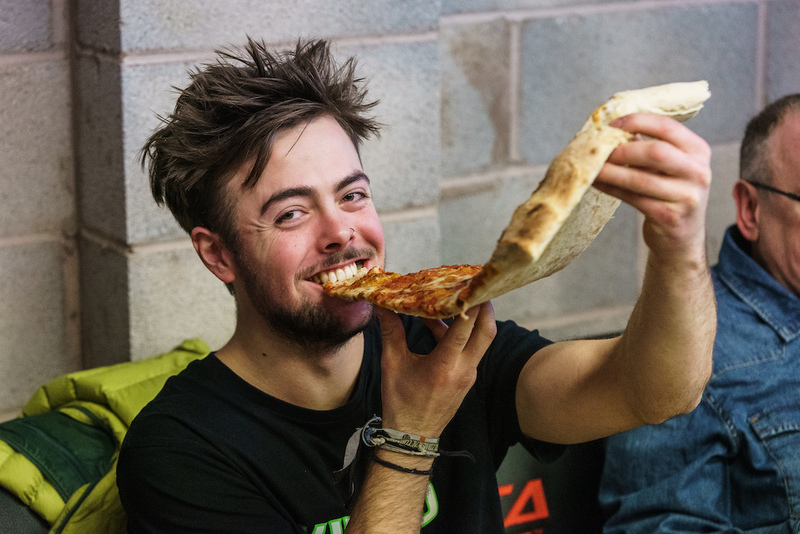 The only thing that matters to me here is that amazing slice of pizza. Burgtec are a company which I want so badly to love but I find their products a little hit and miss. The Penthouse 4s are the best pedal on the market. I would not even consider another pedal. I had an enduro stem a while back and it didn't grip the handlebar, the thing just rotated in there even with carbon/gripper paste. Had to get rid of that one. The cloud saddle is another product which doesn't achieve what I'd like it to. C'mon lads, help us to buy more of your stuff! I broke a stem of theirs last year. Going uphill. Didn't realize that was possible... It looked nice before the crack though! @jack-sprogis: It's OK mate. I'm not looking for you guys to do anything about it, I sold it anyway! I'm on a Syntace now so all good. If you want to make a great saddle, copy the fizik gobi. 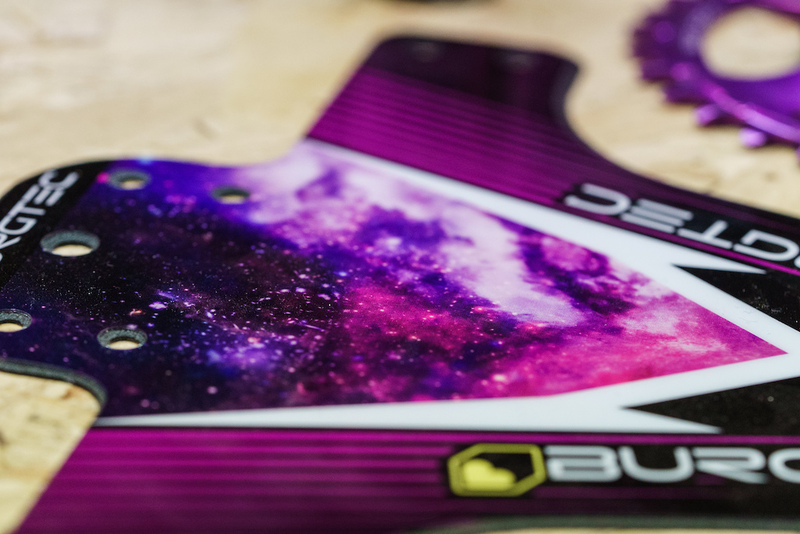 I would love to have more Burgtex on the bike though, I love those pedals and your brand. I wish I got my peddles back from 3 years ago when I sent them in for a service. I got my rear hub back but no peddle. I’m getting scared because I have their urban Camo hubset and they are gonna need a service again and I don’t want to loose them. Cheers, We'll see you right. @jack-sprogis: ok cool bro ill send ya a email, thanks! Can someone explain to me why more people don't run composite pedals? They're loads cheaper and weigh less than most high end flats. I get that metal is stronger but still... I haven't been able to break the composite Race Face and Crankbros pedals I run. "Burgtec produce this aftermarket 30x8 bearing for shocks." Point of clarification. A standard shock bush is a bearing. Do you mean the Burgtec are machining shock hardware, or is it a ball bearing assembly? 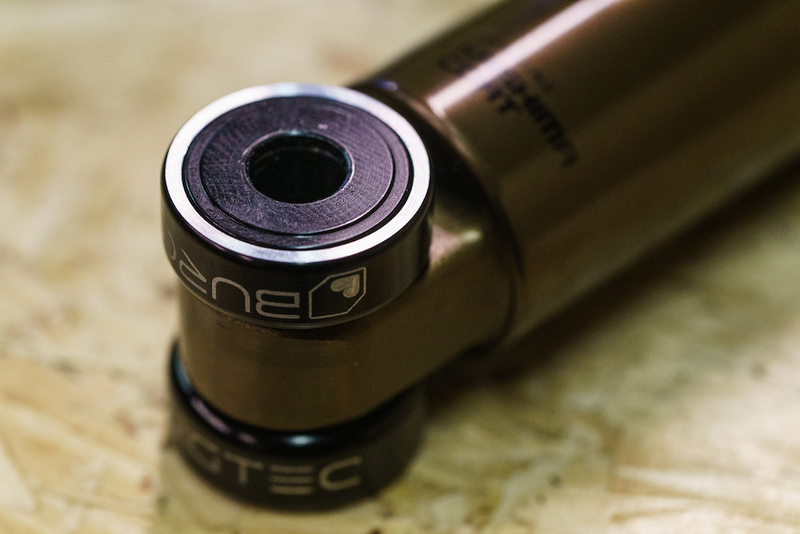 The Burgtec bearings for shocks is the most interesting to me. Not many options out there for shock bearings to replace the bushings. Probably makes the suspension silky smooth. Coming from someone who has used the RWC needle bearings on DH rig, it's a drastic difference. Completely had to change the dampening of my shock. They're spendy, so if decide to only buy one, make sure you put it on the eyelet that rotates more throughout the stroke so you don't just wear one portion of it down. They are very responsive though! @krashDH85: I'm assuming you had to run more damping? I have a ball bearing eyelet I'm putting on a DHX2 so that could make set up interesting. @taquitos: Yup, going with a bearing setup, even in 1 eyelet, reduces the friction a ton. I had to add rebound dampening to slow things back down to where I liked it after install. 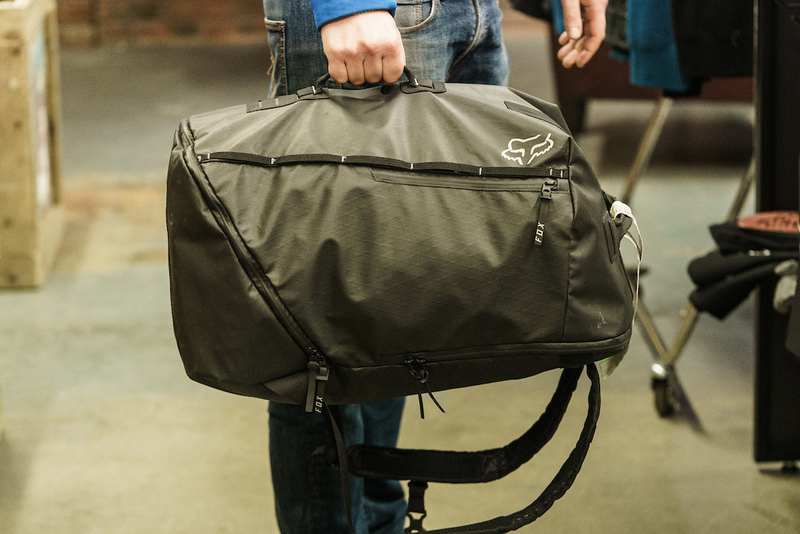 Fox bag is sick! that's a must have! Thanks again for having us today lads! Real exciting times ahead for you lot. points to Fox for simplifying the fabric choices. i need that bag,.....finally. Those are flat... flats. Real flat. The colourway of that V10 though... dream bike! Gutted we couldnt come DC stuff looks mints whats the name of that pizza gaf lol. Big Gee. MWAH They're called! The Pizza is redic! I found the DMR V6´s held up really well for a composite pedal. Hope these are of similar quality build. Thank god fox simplified their lineup. Anybody know where to buy those Burgtec socks??? @jack-sprogis: I need those as well! 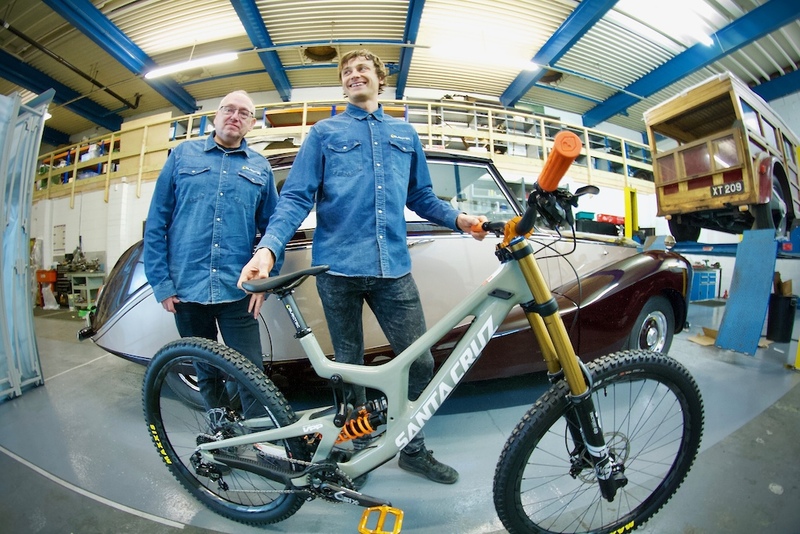 composite pedals are exciting, will be buying a pair of those for sure. 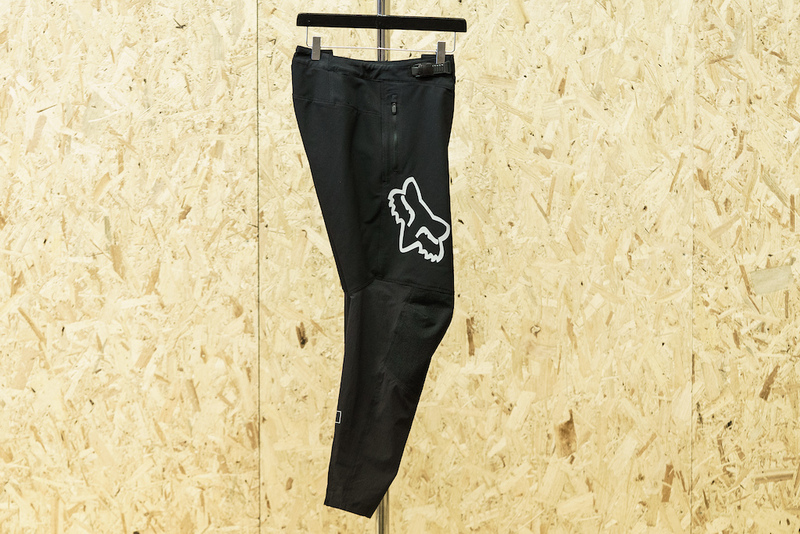 Which model are the Fox gravity trousers that are pictured hanging?